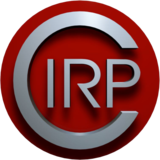 CIRP is the world leading organization in production engineering research and is at the forefront of design, optimization, control and management of processes, machines and systems. The Academy has restricted membership based on demonstrated excellence in research and has some 600 academic and industrial members from 50 industrialized countries. Young researchers, whose research contribution in the area of production/manufacturing science has been deemed significant, can be officially nominated as CIRP Research Affiliates. The objective of the Research Affiliates program is to create, develop, and promote a sustainable, CIRP-related, network of outstanding young researchers in the field of production engineering. The conference will take place online, with presentations and interactive technical discussions broadcast across the Internet. Paper presentations and interactive technical discussions will be broadcast online during dedicated timeslots taking into account the different world time zones. The conference is free of charge! In order to have access to the web conference material (download papers, participate to discussions, watch the presentations etc) participants will simply need to Register or Login if already registered. Registration is free, simple and takes only a few seconds. CIRPe 2018 papers will be published on Procedia CIRP (by Elsevier B.V.), which is indexed in the EI Compendex and Scopus databases. Selected papers in an enhanced form will be considered for publication in the CIRP Journal of Manufacturing Science and Technology (JMST). Shantou KinYe Culture Co., Ltd.